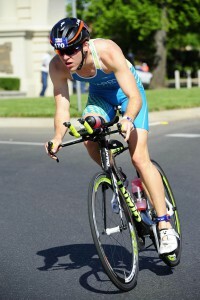 Favourite Race: Ironman 70.3 Sunshine Coast – great surf swim, fast highway bike and melting hot run! With a background in swim teaching, and cycling socially I took up triathlon four years ago through a beginner course at Melbourne Triathlon Club. Since then I’ve competed in various multisport races, up to the half iron distance. I’ve represented Australia at ITU Long Distance World Championships (Sweden, ’15) and competed at IM 70.3 World Championships (Austria, ’15). This year, I’ll be representing Australia in Spain for the Duathlon World Championships, and plan to race most of the London League. Currently working as a full time paramedic for the London Ambulance Service.